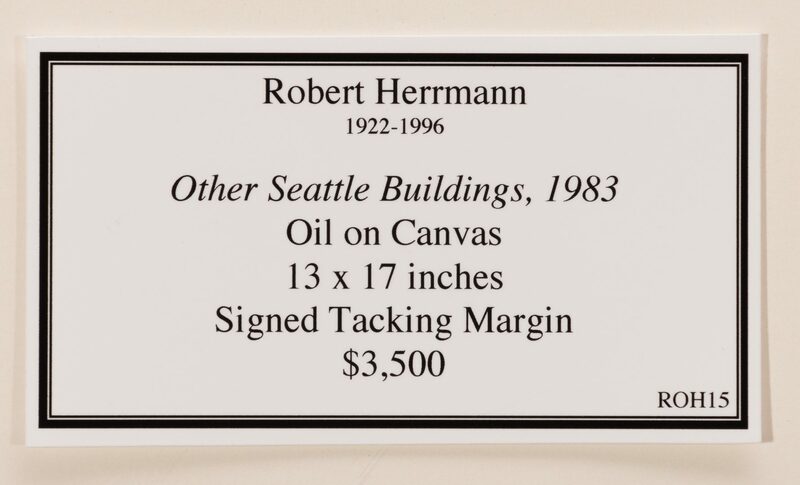 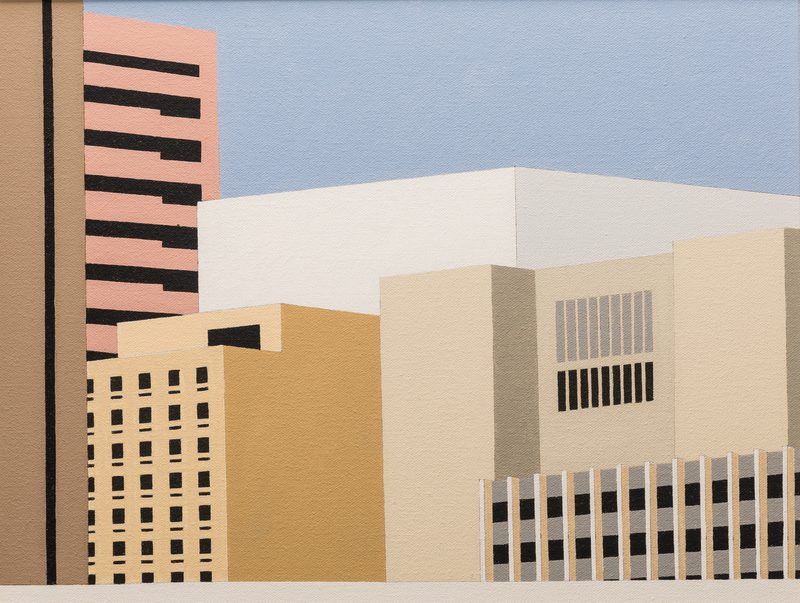 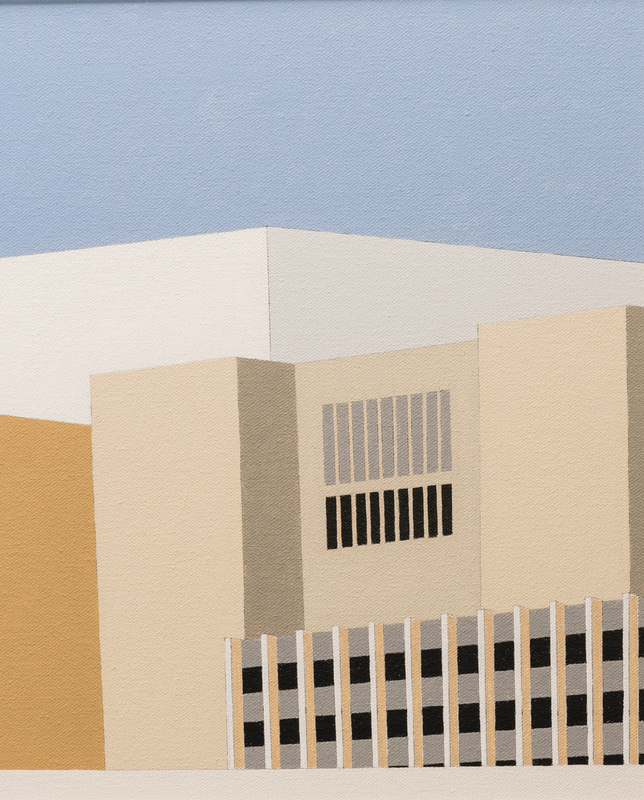 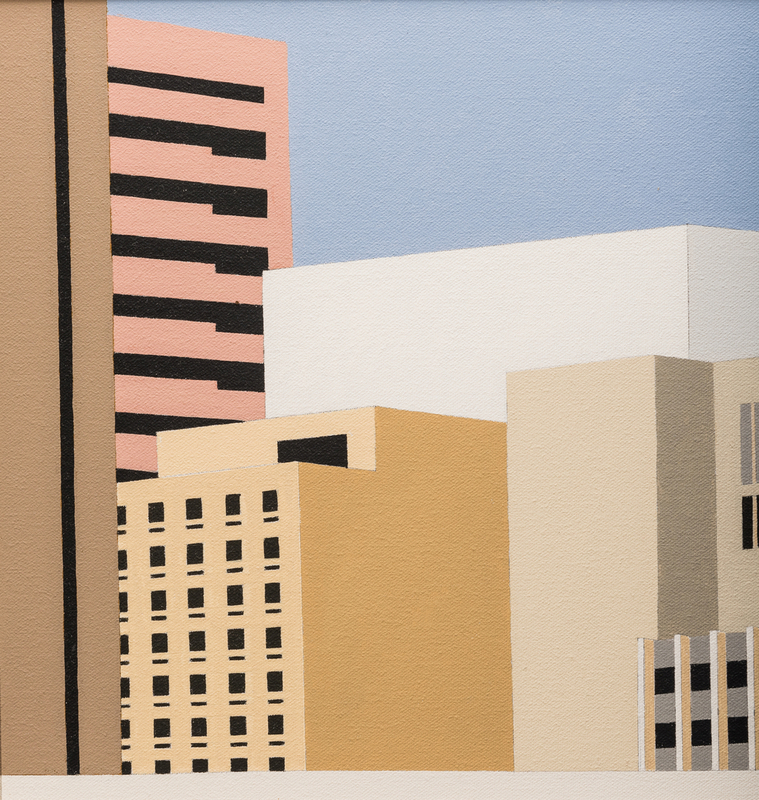 Lot 480: Robert Herrmann, O/C, "Other Seattle Buildings"
You are here: Home >> January 27, 2018 Historic Winter Auction >> Lot 480: Robert Herrmann, O/C, "Other Seattle Buildings"
Robert Herrmann (Ohio, 1922-1996) oil on canvas precisionist architectural landscape painting titled "Other Seattle Buildings" depicting a cityscape against a light blue sky. 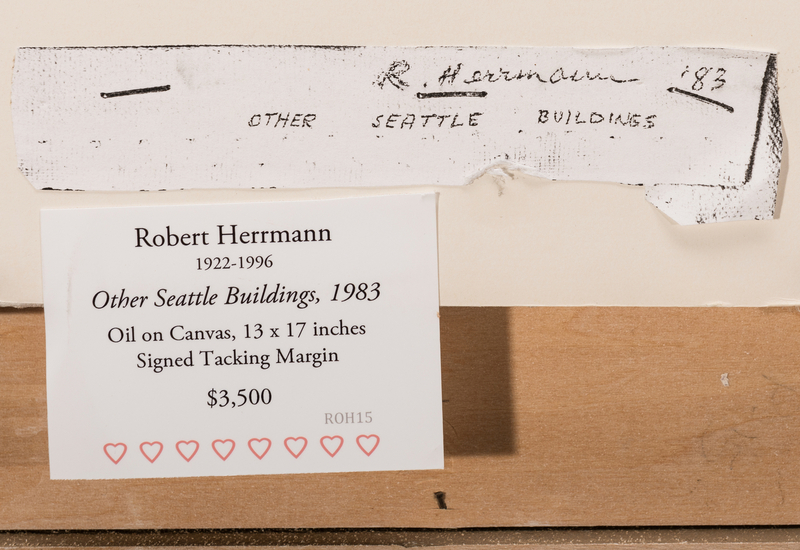 Three labels with artist name, title, and dated "1983", attached en verso. Housed in a light brown wooden frame with off white painted wood rabbet edge. 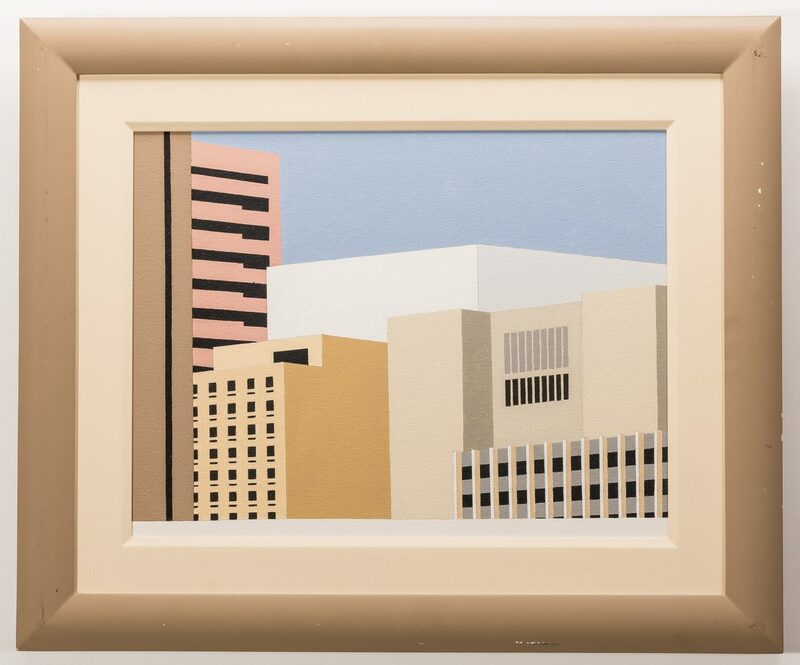 Sight – 12 5/8" H x 16 1/2" W. Framed – 19 5/8" H x 23 5/8" W. American, late 20th century. CONDITION: Overall excellent condition. 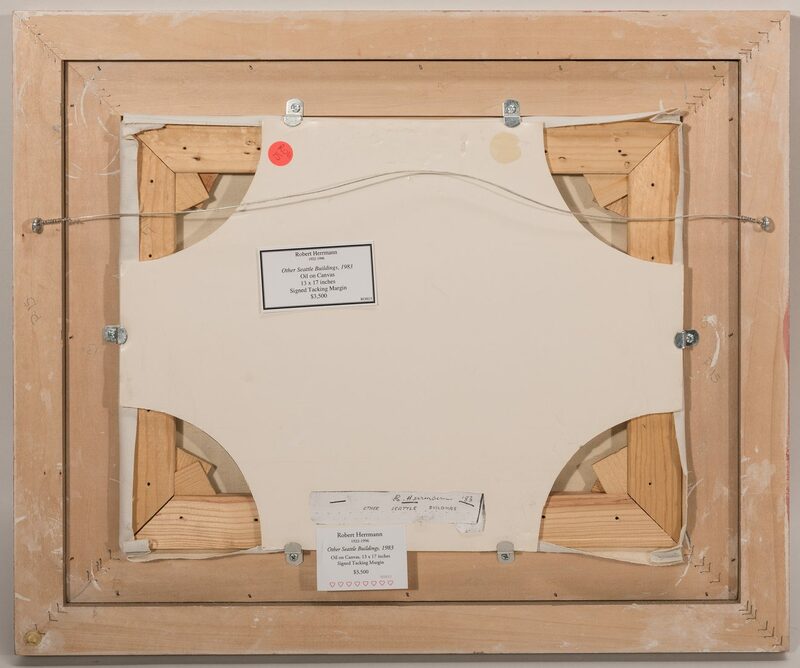 Scuffs, areas of loss, largest 1 1/4", surface of frame.